Niagara Falls, NY - Mikiah Kreps practices with her mother Debbie Fields. 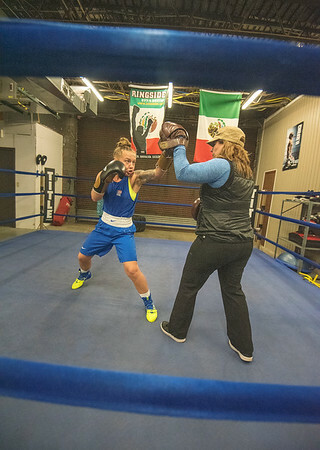 Mikiah Kreps, 22, who practices at the Gonzalez Boxing Club, is ranked #1 in the USA Boxing 119 lb. weight class.